What could Three Gems and a Baby mean? It’s an episode about the past, so of course we’ll be talking about future vision (that big question that we’ll probably never be able to answer). Also, we yet again get a question about what might happen to Steven. Mindful Education has made us mostly wonder about previous episodes of the show: we’ve seen what it looks like from the inside when Stevonnie is under stress and hallucinating, but we’ve seen other fusions de-fuse as well. Have any of them been hallucinating at the time of their de-fusion? What could Buddy’s Book mean? What could Hit the Diamond mean? Take us out to the ballgame, take us out to the questions! (Alright, that’s not how the song goes, but work with us.) Do you ever leave a baseball game wishing you had the answers to some very important questions? Well we had some questions after we saw Hit the Diamond, so come ponder with us. What could Same Old World mean? Flashbacks are great: they’re typically very pertinent to our interests, being about stuff we’ve wanted to know about for a while. We can also hope they might foreshadow the arrival of new characters. 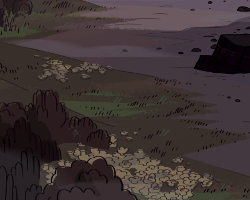 What could Super Watermelon Island and Gem Drill mean? Have you ever seen something happen in an episode and you really, really wanted it to be setting something up to happen later in the series? Like really wanted it? We have questions about Super Watermelon Island and Gem Drill, of course, but we have at least one hope as well. What haven’t we learned yet about the Great Diamond Authority? Oh Ronaldo, you amaze us: who could have expected that he would not only be right about Gemkind being led by Diamonds, but that the Diamonds were called the Great Diamond Authority? During #StevenBomb4 we learned about them (from a non-prophetic source) for the first time, so there’s plenty to wonder about.